CRM systems have become essential for businesses — there are now countless CRM solutions available to help companies assess leads and store contact information. The value of CRM is immeasurable. It allows your company to better assess the patterns of potential leads and current customers and helps your sales team to form unique relationships with them based on the information you are able to consolidate through the system. It’s for these reasons — and more — that companies are eager to find the right CRM to help them improve customer relations and automate data processes (among others). According to Forbes, the value of the CRM software market around the globe totalled $120 billion in 2018 — and that number keeps increasing. CRM can be incredibly valuable if you choose the right system for your company; it can automate tedious tasks, centralize information, and help decision makers make more informed decisions and more accurate projections. 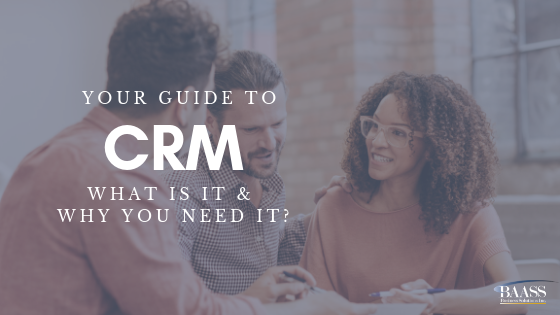 We have put together everything you need to know about CRM to understand why it is such an essential tool when it comes to increasing the productivity of your company and improving your relationships with customers and prospects. A CRM system is a home base for all of your contacts. Think of it as the contacts app on your phone — but elevated five times over. The tool allows you to store and update all your contact information in one place to analyze the actions of your customers and leads. This helps your business make educated decisions based on these contacts and where they are on the buyer’s journey. Ultimately the purpose of a CRM is to centralize the information of your leads and customers and to help a business attain, manage and nurture them. CRM gives you a birds-eye view of your leads and clientele, but above all it allows you to form and nurture customer relationships. These systems have only recently risen in popularity in the past decade or so, but the first ever CRM product was released back in 1993 by Siebel Systems. According to G2Crowd, the revenue of CRMs around the world clocked in at $16 billion in 2011 alone. Revenue has since increased to $120 billion. With so many data and automation oriented business software on the market, most businesses are striving to find the right set of systems to integrate and implement. CRM centralizes all of your contact data in one place. This makes for easy access to this information from anywhere and ensures that the decision makers and key players in your company all have access to the same updated information. The system provides an accurate, up to date and thorough report on all the touchpoints your contact has hit on its journey with your brand. With CRM, your business can be sure that all data is consistent and that every employee has access to the same information. This makes it easy for different people in a company to add data and have it accessible to everyone involved. The system ultimately ensures that everyone has access to the same information and isn’t trying to attain contact data in different ways and, in turn, contradicting one another's findings. You can make things run a lot smoother with this tool that not only cuts down customer response times, but also makes it easier to interact with customers, customize your services, and service a wider range of regions. There is no denying a CRM’s ability to improve your productivity. According to Nucleus Research, business decision-makers who have opted to integrate a CRM reported that their productivity increased by 14.6 percent due to mobile abilities, with social CRM gaining 11.8 percent. A CRM allows you to identify your best customers — which ones engage the most, spend the most etc. This tool will help you cater to specific customer’s needs to create a unique relationship. With the assistance of a CRM, you can improve how you communicate with your customers — you have access to helpful information not just about them, but how they interact with your brand. Through all these benefits, a company is able to receive a return on investment when choosing to implement this system. It is able to save money due to its automotive functions that allow you to reduce resources. Additionally, its capabilities to better understand leads and customers allows you to convert leads and keep customers to increase your profits. According to The Nutshell, on average, CRM software provides a return of investment of $8.71 for every dollar spent. As mentioned, a CRM helps you centralize contact information to better manage and assess your leads and customers — but how does it do this? Managing Contacts: CRM systems act as a contact database where you can centralize information and documents. The system allows you to add new contacts and store their information regularly. Analyzing & Reporting: Up to date customer and lead information will help your company generate accurate reports. Reports will help your company better understand and identify customer’s benchmarks and the profit they provide your company. Standardizing Processes: A CRM will allow you to create templates, alerts, calendars, task lists and more. This helps to streamline processes as all employees have access to the same process — this helps to unify different workflows like onboarding or the acquiring of a new customer. Managing Pipeline: Because it centralizes customer information, CRMS provide a visual representation of your sales benchmarks. This tool also allows you to analyze the steps a lead takes as they move down the buyer's journey. Customer service tools to improve e-commerce processes, track purchases and cost. Centralization of information in the form of one database all employees and department heads can access. Email integration capabilities to help you pull more information about leads, and better optimize your current email system for sales and marketing. Email management and tracking to let you keep track of what company emails get opened when, where and by who to better understand how your leads engage with emails. Customer analyzation tools to help you segment ledes and customers to inform how you target your campaigns. Tracking of prospects to better understand your leads’ journey and to help nurture them along their process. Report generation based on automated reporting. Call recording to help you make calls to your prospects through your CRM. This function helps to streamline and automate once-tedious tasks that required ample human resources like voice messages and calling. Forecasting based on stored and updated information. Automated sales to help you streamline sales processes such as emailing and calling. Software integration to help your CRM work alongside other presently used systems and to eliminate the need to re-input data. Collection and enrichment of data by automating the data entry process to ensure consistent information and removal of the human error element. Mobile access if you require a CRM to be accessible via mobile to access data and updates as they happen. a customer service rep to instantly being able to inform a customer of order and billing status. There are a wide variety of industries that benefit from utilizing a CRM for day to day tasks as well as long term business growth. These industries range from real estate to marketing to healthcare — and everything in between. Because there is such a wide range of functions available via different CRMs, the possibilities are endless. Every company can find a system with functions to suit their industry’s specific needs. Operational CRM is primarily focused on streamlining processes through automation. Through this CRM companies can streamline marketing, sales and customer services processes that were once tedious and drained a company of its resources. With operational CRM, you can increase the productivity of once repetitive tasks like social media scheduling and emails. The CRM is able to store client information, track client history & more. It is mostly used for lead management due to its customer-centric functions. Collaborative CRM is less commonly used but boasts incredible functionalities. This type of CRM is focused on information sharing. It consolidates external information to better share it across a company, including with shareholders. This centralization of information allows a business to better communicate with not only customers but distributors and suppliers as well. It’s for this reason that it is most used by B2B companies. Analytical CRM is a commonly used system as it allows you to better assess and analyze centralized data. The system’s functions mine customer data and market trends to form reports that can help decision-makers to better access data to make educated decisions. 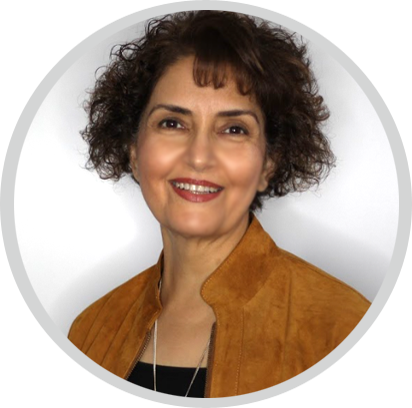 This system gives you all the information you need to pinpoint a business’ strength and weaknesses, and to gear you to provide better customer service. Strategic CRM is, the lesser known of CRM, is best suited to an e-commerce business with the goal of learning how to sell and interact with their customer. It collects analyzes and stores lede and customer data. This type of CRM is customer focused and is primarily used to attain information to both convert leads into customers, and to nurture consistent customers. There are a lot of different types of CRMs with varying functions, albeit similar. It can be a challenge to identify the right CRM for you. Ultimately, if you want to find the CRM that best suits your businesses, you need to decide what your company goals are. It's easy to be distracted by the many functions available, but the truth of the matter is that you don’t need it all. The CRM that will best work for your business is the one with specific functions to suit your businesses distinct needs — not to provide assistance with things your company hasn't even integrated yet. What are your business’ needs? What is the size and scope of your company? Why do you want a CRM? What do you want out of a CRM? How much lede and customer information do you need and how much do you currently have? How much are you able to spend on a CRM? What are the current hurdles your business is facing? What additional processes would you like to integrate? How many people will be using the CRM? Are you currently using software that you would need to integrate with a CRM? At the end of the day, a business is about its customers — its prospects and returning clientele. A CRM allows you to store, update and analyze contact information to turn prospects into these returning customers, and to keep current customers coming back. The information stored about leads and customers and their interaction with a brand help business owners make better decisions and more uniquely cater to the specific needs of particular prospects. On top of helping improve customer relationships, CRM also boasts a wide variety of functionalities, which makes them perfect for all industries. Every company will be able to find a CRM with functionalities that to streamline different processes and workflows -- its all about identifying the goals of your company, and which functions you think will help your company achieve said goals!